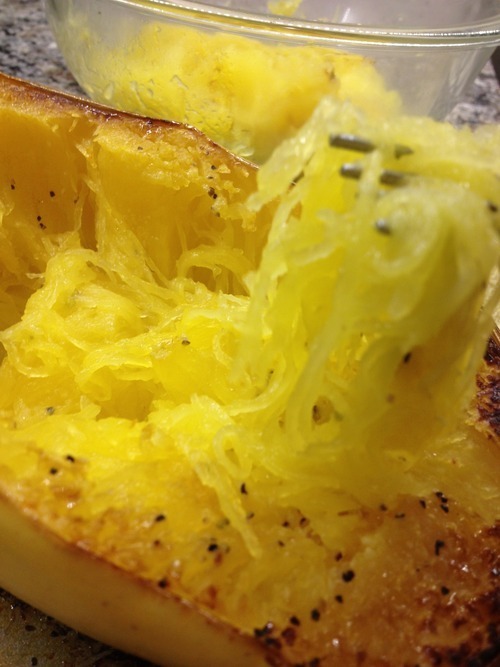 Making spaghetti squash can certainly seem like a daunting task; however, it really is a fun and interesting way to get more nutrients into your meal while reducing carb intake (in this case, from pasta). 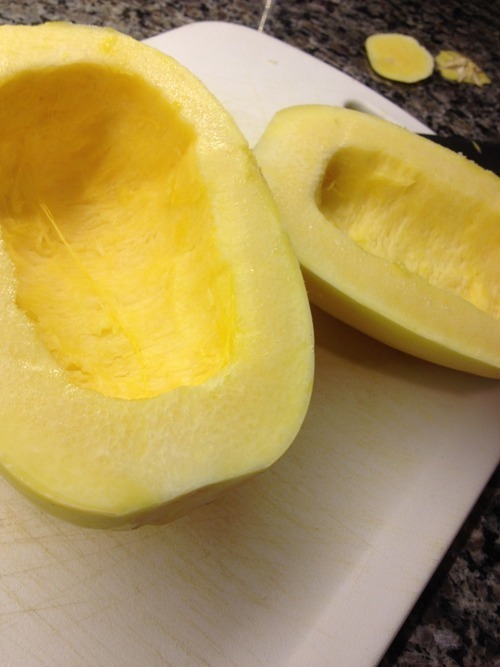 Spaghetti squash, after cooked, looks a lot like pasta. It does not give you the full and heavy feeling after eating, and still allows you to eat your favorite pasta sauce! This squash is low in calories and carbs and contains low amounts of vitamins A, B, C, E, and K along with minerals zinc, copper, and manganese. Because of this, eating this squash with protein and micronutrient (vitamin and mineral)-rich foods is essential. This is simply a great way to throw in a low-calorie carb-cutting vegetable that can be used along with a healthy diet! 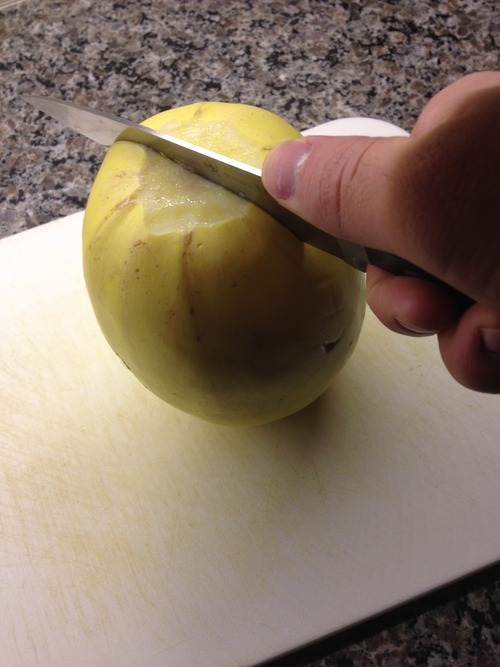 Then, scoop out the insides. Rub the insides with olive oil, salt, and black pepper. Additional seasonings can be added after cooking. Plus, if you don't use the entire squash, this makes it more versatile for future applications and recipes! Lay the squash on a roasting or sheet pan, cut side down, in a 400 degree oven. Cover with aluminum foil (which allows it to steam and cook faster) and roast for approximately 45 minutes. The squash should be soft to the touch when ready. Allow to cool 5-8 minutes. Take a form and begin to shred the squash into “noodles.” Place “noodles” into a bowl. At this time, you can add additional olive oil and adjust seasonings! - Also, check out my recipe on February 21st for Homemade Pizza with Spaghetti Squash Crust!